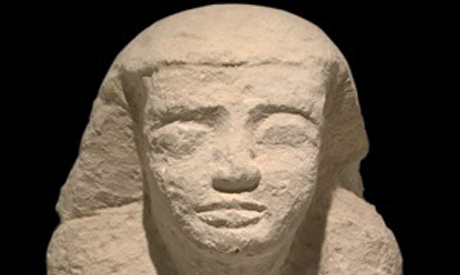 Egypt’s embassy in Amsterdam has received a limestone statue from the First Intermediate Period which was stolen and smuggled out of the country in the 1990s. Shaaban Abdel Gawad, supervisor general of the Antiquities Repatriation Department at the Ministry of Antiquities, told Ahram Online that the statue was first noticed by the department in March 2018 when it was put on display at an art exhibition hall in Holland. The department immediately reported the incident to Egypt’s Ministry of Foreign Affairs, who contacted the Dutch police and concerned authorities in Holland to confiscate the statue and inform the hall and the owner of the statue that it was a stolen artefact. Abdel Gawad said that the Dutch authorities had handed the statue over to Egypt’s embassy in Amsterdam and it will return to its homeland soon. The statue is carved of limestone, he continued, and was uncovered via illegal excavation carried out in 1990s at the Saqqara necropolis. It depicts a top official named Nekaw-Ptah in a standing posture and wearing a short wig. It also bears hieroglyphic text showing the name of its owner and the date when he lived.